This is a creative cross-curricular activity. 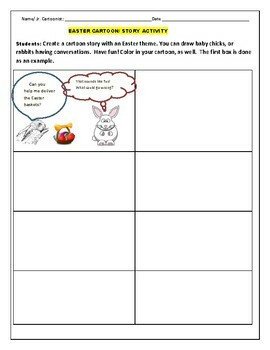 Students cartoon rabbits and chicks having a holiday themed conversation. Then, they color in the cartoon. Have fun!